Heat oven to 350°F. 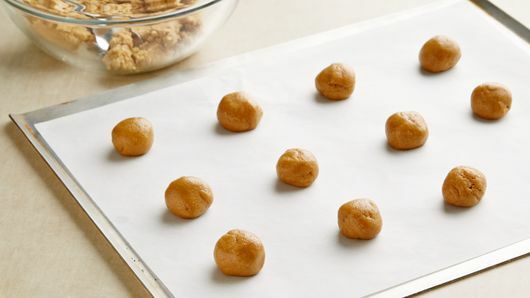 Shape cookie dough into 1 1/4-inch balls; place 2 inches apart on 2 ungreased cookie sheets. Bake 8 to 9 minutes or until light golden brown. Cool on cookie sheets 5 minutes. 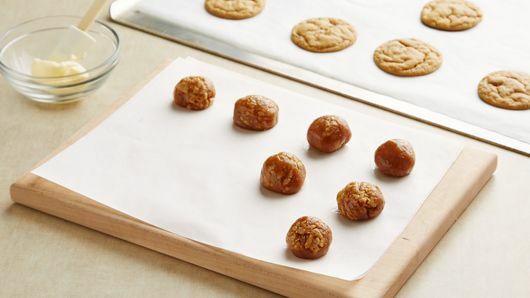 With buttered hands, shape each cookie into ball; refrigerate 10 to 15 minutes or until completely cooled. Meanwhile, line cookie sheet with waxed paper; set aside. In medium bowl, microwave chocolate chips uncovered on High 60 to 90 seconds, stirring until smooth. 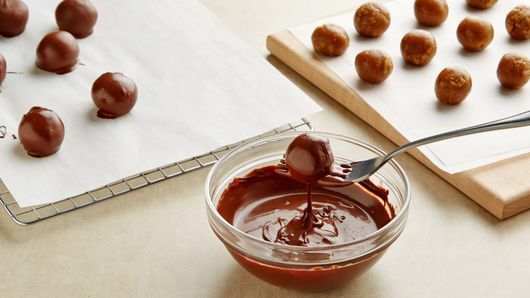 Dip cooled cookie balls, one at a time, into melted chocolate; place on cookie sheet. If necessary, reheat chocolate. Refrigerate truffles about 10 minutes or until coating is set. Stir 2 tablespoons shortening into melted chocolate for easier dipping. 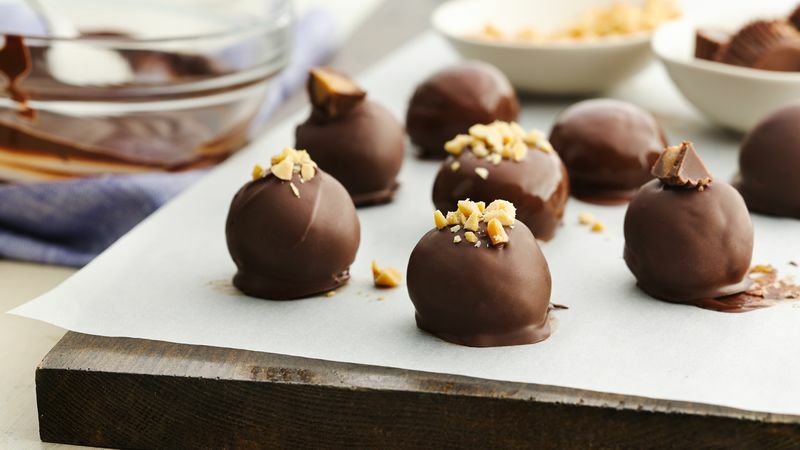 Dress up your truffles by topping with chopped peanuts, or chocolate-covered peanut butter cup candies. Google the word “truffle,” and you may be a little surprised by what you find—these rich and indulgent treats originally got their name because their shape is similar to the edible part of a tuber fungus (yep, you read that right). True truffles are considered a gourmet food in many food cultures, especially by the French, who have held this circular fungus in high regard since the late 1700s, when it was enjoyed by nobles and royalty. The French also had a hand in inventing actual chocolate truffles as we know them today. They were first developed in France in the early 1900s, named after the fungus purely because of its resemblance in shape. The ingredients, of course, are entirely different, and include a homemade ganache filling and coating like cocoa powder, nuts and/or chocolate. Nowadays, truffles are a treasured chocolate confectionary in both Europe and America, taking on many different variations like our Peanut Butter Cookie Truffles recipe. Love the peanut butter-chocolate combo? Us too. When you’ve made these peanut butter truffles, how about trying Peanut Butter Milk Chocolate Cookie Sandwiches next? Or, any one of our other peanut butter cookie recipes!